This popular curry fish head stall used to be at Dover Market where I visited them every few weeks until Dover Market was closed for renovations and they had to move. I didn’t know they moved to Ghim Moh Market until I was in the queue for my favourite Jiu Jiang Shao La and I saw them at the next stall. So the next time I visited, I ordered from them again. Ironically even though it says Curry Fish Head, I believe most people usually order the curry chicken, which I do too. 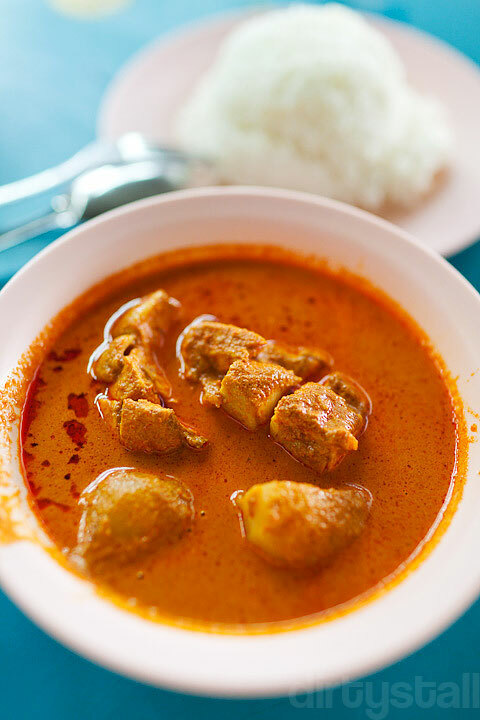 They love to give the breast meat tail part and the curry does have a different taste from most other curries around. Maybe less coconut milk? Definitely hotter but not rich in spices like Indian curries. 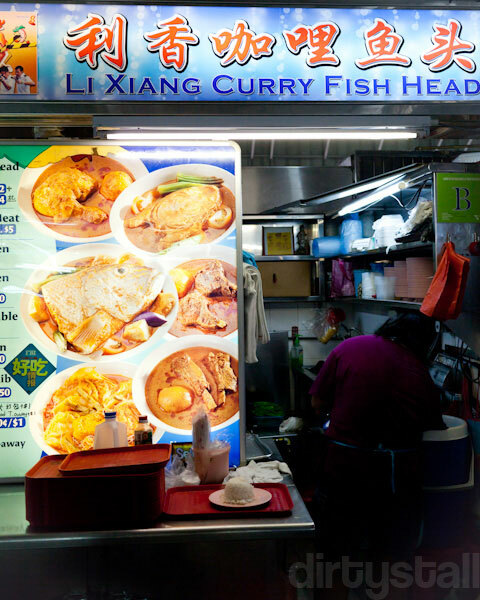 4 Responses to "Li Xiang Curry Fish Head"
I love Li Xiang’s chicken curry. Shiok to the max! Had heart attack once when they shifted from the front to the back of Dover market. Another heart attack when Dover closed. Jumped in joy when I found it at Ghim Moh some weeks ago. Wow, I love curry fish head, gotta try this sometime soon! Will never go back again, attitude female boss. Ask for just a little more curry soup and say that is what you paid for.